In 1897 the Dutch-born painter Kees van Dongen went to live in Paris, where, after a short period under the influence of Impressionism, he became a member of the Montmartre bohemia and one of the leaders of the Fauvist revolution. His Expressionist concerns also brought him into contact with the German artists of the Die Brücke group, in some of whose activities and exhibitions he took part. 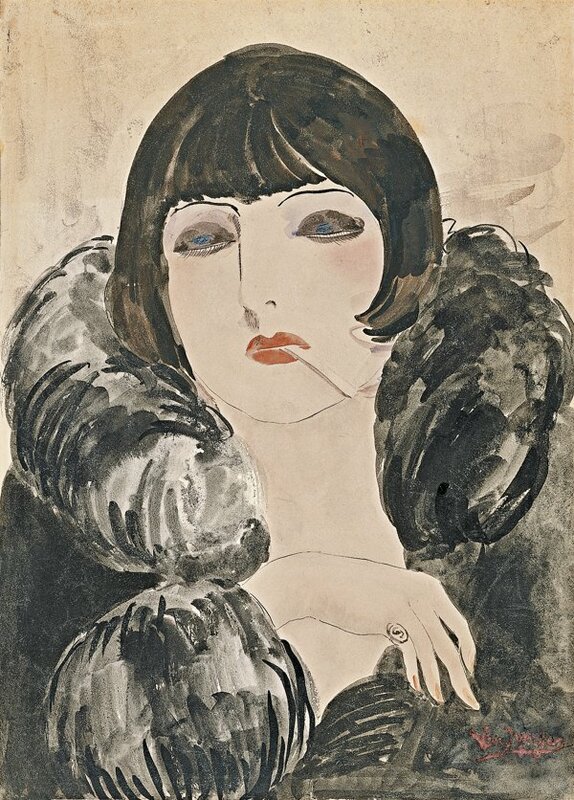 After the Great War, Van Dongen moved to the Rive Gauche and became the fashionable painter of Montparnasse society portraits. In the work in the Museo Thyssen-Bornemisza, the female model, generally identified as Kiki de Montparnasse, conveys the image of a sexually liberated and artistically talented woman that would make her a central figure in Paris art circles. 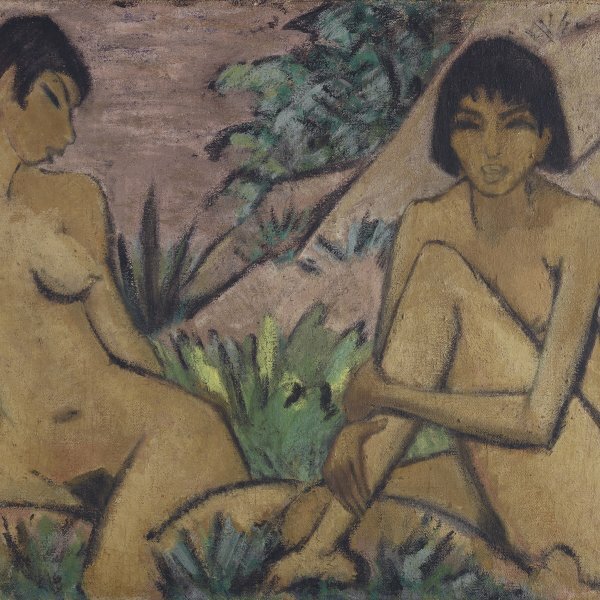 During the 1920s “Kiki, ” the artistic name of Alice Ernestine Prin (1901–1953), was the great muse of Montparnasse, partner of Man Ray, a friend of Ernest Hemingway and the muse of the main artists of the so-called School of Paris, such as Gargallo, Moïse Kisling, Foujita, Soutine, Modigliani and Marc Chagall, as well as Van Dongen. Although it is not certain whether this is in fact a portrait of Kiki, the resemblance to the photographs Man Ray took of her make this hypothesis almost certain. Her modern appearance, sporting the short hair cut that was then in vogue, and casual pose with cigarette between her lips, denoting great self-confidence, are also consonant with the model’s image. As with most of the painter’s works, it is difficult to date. Peter Vergo proposes ascribing it to around 1922 or 1924, when Van Dongen was in closest contact with Kiki’s circle. In the present work, which is painted with extreme delicacy using heavily saturated watercolour, Van Dongen combines the vibrant colouring of his Fauvist period with the importance he attached to line during his artistic beginnings as an illustrator of La Revue Blanche. The face of the beautiful Kiki, painted in muted tones and schematised to the point of verging on stereotype, stands out amid the sheer fur collar of her dark coat.